Omar Khadr pleaded guilty to, and was convicted of, killing Sgt. 1st Class Christopher Speer, an American medic, with a hand grenade in Afghanistan in 2002, when he was 15. Here is a timeline of events, from the Khadr family's arrival in Canada in 1977 to Khadr's repatriation to Canada in 2012. Omar Khadr pleaded guilty and was convicted of killing Sgt. Christopher Speer, a U.S. special forces soldier, with a hand grenade in Afghanistan in 2002 when he was 15. Here is a timeline of events, going back to the Khadr family's arrival to Canada in 1977. The government publicly apologizes to Khadr on July 7 "for any role Canadian officials may have played in relation to his ordeal abroad and any resulting harm" as part of a settlement of a civil suit launched over the violation of his Charter rights. The settlement includes a $10.5-million payment, according to sources. Conservative Leader Andrew Scheer denounces the payout as "disgusting" and a "slap in the face" to Canadian "men and women in uniform." A day earlier, it was reported by the Globe and Mail, and later confirmed by a source to CBC News, that the government had transfered $10.5 million to Khadr on July 5. A source tells The Canadian Press the government wanted to get ahead of an attempt by Speer's widow and another U.S. soldier injured in the 2002 fight to enforce a massive U.S. court award against Khadr in Canadian court. Word of a pending apology and settlement had been reported by multiple outlets on July 4. Khadr recovers from a 19-hour operation on a shoulder that was badly injured in Afghanistan 15 years earlier. Guantanamo's Child, a documentary made about Khadr's life from age 15 on, is nominated for an Emmy Award. Alberta Court of Appeal Justice Myra Bielby ordered Khadr released on bail, turning down the federal government appeal of the April 24 bail order. She had set out the terms of his release on May 5. An Alberta judge grants bail to Omar Khadr at a hearing of Khadr's application for bail pending the outcome of his appeal in the U.S. of his conviction for war crimes. The federal government appeals the bail decision. The federal government says Canadian courts don't have the authority to grant Omar Khadr bail before his American legal proceedings are final. Even if they do have the power, the federal government says the courts should refuse to release him. King's University in Edmonton, Alta., offers Omar Khadr a spot as a student if he is released from prison. The university's president, Melanie Humphries, has spent time with Khadr and says, "my impression of him is that he's an articulate, thoughtful, non-radicalized individual." Omar Khadr seeks bail pending disposition of his appeal in the United States against his disputed conviction for war crimes. 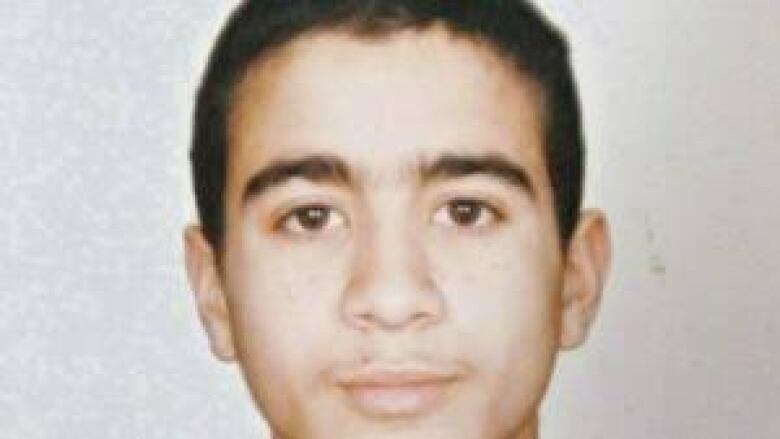 The Supreme Court of Canada decides to hear the federal government's challenge of Omar Khadr's youth status. Khadr had already agreed to remain in federal prison despite a prior ruling by Alberta's top court that he should be moved to a provincial facility. A Federal Court judge rules that Omar Khadr should be allowed to claim the Canadian government conspired with the Americans to torture him and breach his rights. The ruling allows him to significantly expand his $20-million civil lawsuit against Ottawa. Omar Khadr loses his bid to have his war-crimes convictions tossed in a military commission appeals court decision. He will now have to wait even longer to make his case to a regular American court. The Alberta Court of Appeal rules that Omar Khadr should be serving his time in a provincial facility and must be transferred from federal prison. The federal government is appealing the ruling to the Supreme Court of Canada. The CBC, the Toronto Star and documentary producer White Pine Pictures take the federal government to court to ask that Omar Khadr be allowed to be interviewed by media for the first time. Khadr has been willing to talk, but Correctional Service Canada and Public Safety Canada have repeatedly blocked media access. Speer's widow and an American soldier blinded by the grenade sue Khadr for close to $45 million. Omar Khadr is transferred to Bowden Institution in Innisfail, Alta., as a medium-security inmate. 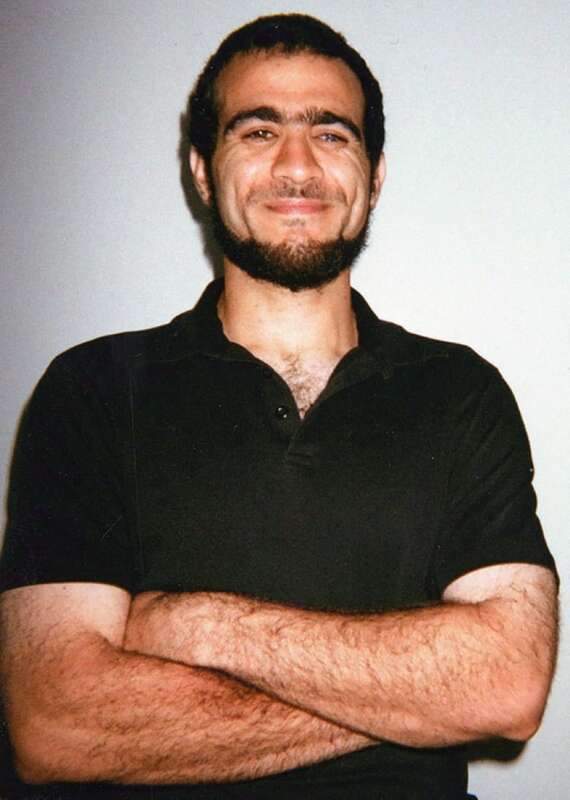 A photo of Omar Khadr, taken before he was imprisoned in 2002, was handed out by his mother Maha Khadr following a news conference in Toronto on February 9, 2005. ((HO/The Canadian Press))Omar Khadr appeals his prior convictions, including murder. He argues that what he was convicted of doing was not a war crime under either American or international law. Omar Khadr is transferred to a maximum security facility, the Edmonton Institution, in Edmonton. Khadr will appeal his plea-bargained guilty plea and war crimes convictions in a U.S. civilian federal court, his Canadian lawyer tells CBC News. Khadr's charges, according to his lawyer, Dennis Edney, "are not recognized international law–of–war offences. We questioned the validity of the charges before the Military Commission Process." Julie Carmichael, a spokesperson for Public Safety Minister Vic Toews, issued a statement regarding Khadr's decision to appeal: "Omar Khadr is a convicted terrorist. Decisions related to his future will be made by the Parole Board of Canada." A U.S. military plane brings Khadr back to Canada. The 26 year-old is transferred to the Millhaven Institution, a maximum security prison, near Kingston. Ottawa is given videotapes and documents assessing Khadr's mental health by American military officials. The material includes an interview of Khadr by a psychiatrist. 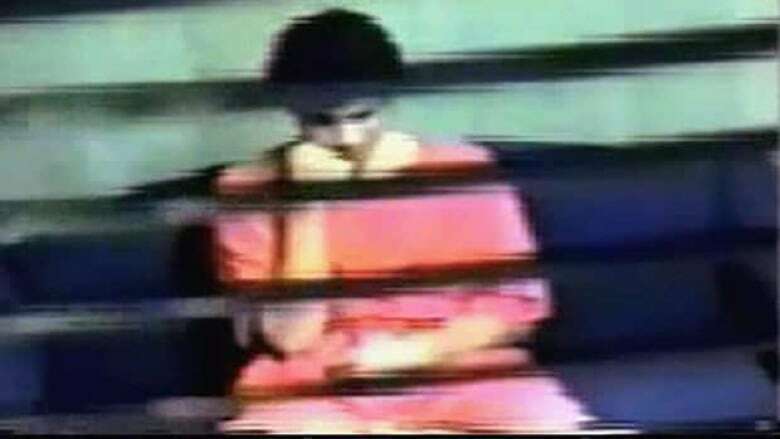 Omar Khadr is shown in an interrogation room at Guantanamo Bay while being questioned by CSIS agents, in this image taken from a 2003 surveillance video, released by his Canadian defence team. (Canadian Press)It's revealed that Khadr tried to plead guilty to terrorism charges in Canada for a speedy transfer home. The documents show that the 2008 proposal was rejected by the U.S. military. Lawyers file a notice of application in the Federal Court to ask it to review why Canada was delaying Khadr's repatriation. Ottawa receives an application from Khadr officially requesting a transfer to Canada from Guantanamo Bay. U.S. Defence Secretary Leon Panetta signs off on Khadr's transfer. Khadr fires his longtime lawyers Dennis Edney and Nate Whitling and hires Toronto-based lawyers John Norris and Brydie Bethell. The Convening Authority for Military Commissions rejects a clemency appeal filed by Khadr. The prisoner had appealed to have his sentence cut in half, arguing that improper testimony swayed the jury at his sentencing hearing. Jurors sentence Khadr to 40 years in prison for war crimes but a pre-trial deal limits the actual sentence to eight years. Jurors scheduled to attend start of Khadr sentencing hearing. Amid talk of an agreement, Khadr changes his plea to guilty on all five counts; gets opportunity to apply for a transfer to a Canadian prison after one year in a U.S. facility. Khadr's pre-trial hearing begins before a U.S. military court in Guantanamo Bay, Cuba. Khadr officially pleads not guilty to five war crimes charges, including murder, at a pre-trial hearing. Judge Col. Patrick Parrish rules Khadr's confessions will be admissible as evidence. A U.S. military judge refuses to allow Omar Khadr to dismiss his court-appointed military lawyer. Khadr tells the court there's no chance of him receiving a fair trial, regardless of his legal representation. He vows to boycott the legal proceedings. On the same day, the federal government says it will appeal the court ruling that ordered it to remedy the breach of Khadr's constitutional rights. Omar Khadr fires his three American lawyers — two civilians and one court-appointed military lawyer — one of the attorney says. The move comes less than a week before his military commission pre-trial hearings are slated to resume in Guantanamo Bay. The Federal Court of Canada gives the federal government seven days to come up with a list of remedies to its breach of Omar Khadr's constitutional rights. Abdulkareem Ahmed Khadr, 21, is charged with one count each of sexual assault and sexual exploitation, according to police. Omar Khadr's defence team rejects a plea-bargain offer from U.S. military prosecutors that would have forced him to serve any sentence in a U.S. prison, one of Khadr's lawyers says. Pretrial proceedings for Canadian Omar Khadr get underway in Guantanamo Bay, Cuba, with the prosecution and defence both wrangling over what witnesses will be allowed to testify before the U.S. military commission hearing the case. Ottawa seeks assurances that the United States will not use evidence obtained by Canadian officials in their interviews with accused terrorist Omar Khadr in any future prosecution against him. The official request is made in a diplomatic note to the U.S. government. 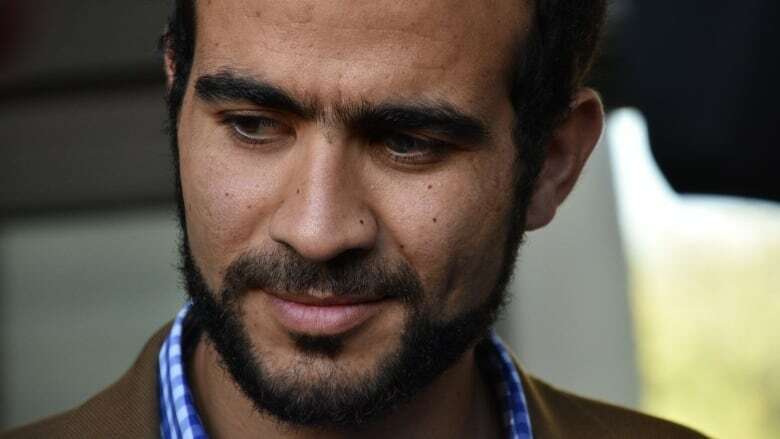 The Canadian government says it has no plans to push for the repatriation of Omar Khadr, according to the Prime Minister's Office spokesman Dimitri Soudas and Foreign Affairs Minister Lawrence Cannon. The Supreme Court of Canada has overturned lower-court orders that the Canadian government must try to return Omar Khadr to Canada from the U.S. military prison in Guantanamo Bay — even though the court agrees his human rights have been violated and continue to be violated by Canadian officials. Omar Khadr will be transferred from Guantanamo Bay to the United States, where he will face terrorism charges in a military commission, The Associated Press reports. Ottawa meanwhile presents its case at the Supreme Court of Canada, appealing a Federal Appeal Court decision to uphold a lower-court ruling that required the federal government to try to repatriate Khadr. Lt.-Cmdr. Bill Kuebler is officially dismissed from Omar Khadr's legal defence team. Khadr's Canadian lawyer, Dennis Edney, says Kuebler put his self-interest ahead of his client. The federal government will appeal a ruling forcing Ottawa to press for the release of Omar Khadr from Guantanamo Bay. "After careful consideration of the legal merits of the ruling … the government has decided to seek leave to appeal the decision to the Supreme Court" of Canada, Foreign Affairs says in a statement. The Federal Court of Appeal upholds a ruling that orders the Canadian government to press for Omar Khadr's return from the Guantanamo Bay detention centre. Federal lawyers file an appeal of the court ruling that ordered the government to seek Omar Khadr's return to Canada from Guantanamo Bay. Col. Patrick Parrish, the judge presiding over Omar Khadr's military commission proceedings, orders that the hearings will go ahead June 1. During question period, Foreign Affairs Minister Lawrence Cannon tells the House of Commons that the government will "probably appeal" Justice James O'Reilly's ruling that Canada must press the U.S. for the return of Omar Khadr. Cannon's office later tells CBC News that the government is going ahead with the appeal. Federal Court Justice James O'Reilly rules in favour of Omar Khadr's charter challenge of the Canadian government's decision not to request his repatriation from the U.S. detention centre in Guantanamo Bay, Cuba. O'Reilly rules that Prime Minister Stephen Harper is required to press the United States for the return of Khadr to Canada to "comply with a principle of fundamental justice." Lt.-Cmdr. William Kuebler, the Pentagon-appointed lawyer for Omar Khadr is removed from the case and reassigned following an internal probe into his conduct. The reasons for Kuebler's dismissal are not released. Omar Khadr's lawyer, Dennis Edney, tells the Canadian Press that Khadr would be willing to face prosecution in Canada and undergo a period of transition under the guidance of an expert team if the United States sent him home. U.S. President Barack Obama signs an executive order to close the detention centre at Guantanamo Bay in Cuba within a year. Military prosecutors request a suspension of all trials at Guantanamo Bay, including the trail of Omar Khadr, on order of U.S. President Barack Obama. Col. Patrick Parrish, the U.S. military judge overseeing Khadr's case, calls a halt to proceedings. At a military commission hearing in Guantanamo Bay, Cuba, FBI Special Agent Robert Fuller says a then teenaged Khadr identified Canadian Maher Arar as someone he saw at al-Qaeda safe houses and possibly training camps in Afghanistan. Arar was cleared of any links to terrorism by a public inquiry in 2006. Fuller initially said that Khadr immediately identified Arar from black-and-white photos showed him during two weeks of interrogations. On cross-examination, however, Fuller admitted it took Khadr several minutes to identify the man in a photograph. Omar Khadr's military-appointed lawyer tells a pretrial hearing that a photograph and an American soldier's testimony prove that Khadr could not have thrown the grenade that killed a U.S. soldier in a 2002 firefight in Afghanistan. Khadr lawyer Nate Whitling tells a Canadian federal court that Prime Minister Stephen Harper has an obligation to demand the repatriation of Omar Khadr because Canada was complicit in his torture. Whitling says his client was subjected to the "frequent flyer program" — a process of constantly waking and moving a prisoner from cell to cell — to soften him up for interrogation by Canadian intelligence officials. Government lawyers argue that the government had nothing to do with any mistreatment. U.S. military judge Col. Patrick Parrish delays the trial of Omar Khadr until Jan. 26, 2009. The trial was slated to go before a military commission at the U.S. naval base on Nov. 10. A three-member appeal panel rules that the decision was in error and reinstates the charges against Khadr. Khadr's lawyers later filed an appeal, seeking to stop the U.S. military case against their client. A judge ordered in October that Khadr's trial proceed. A U.S. military judge drops all charges against Omar Khadr because he is an "enemy combatant," and the military commissions have jurisdiction only over "unlawful enemy combatants." Abdullah Khadr is denied bail by a judge who says al-Qaeda could help him escape. He is to face an extradition hearing in January. Omar Khadr, held by the U.S. at Guantanamo Bay, Cuba, is charged with murder and conspiracy. Khadr and four others who face serious charges are entitled to "representation by a military defense counsel free of charge with the option to retain a civilian defense counsel at no expense to the U.S. government," according to a statement on the U.S. Department of Defence website. After reports that senior members of al-Qaeda are hiding in Waziristan, Pakistan, armed forces in Pakistan stage an attack on their hideout. After a firefight lasting several hours, the Pakistan army takes 18 prisoners and pulls eight bodies, including that of patriarch Ahmed Said Khadr, from the safe house. Omar Khadr is shot three times in a battle with American troops in Afghanistan. He loses the sight of one eye. He is captured and sent to Guantanamo, Cuba, accused of killing an American soldier with a grenade. Ahmed Said is released. He then encourages his four boys to attend training camps in Afghanistan. The couple has their second youngest child, Omar Khadr, who is born in Toronto. He has three older siblings: Zaynab Khadr, Abdullah Khadr and Abdurahman Khadr. Ahmed Said Khadr immigrates to Canada from Egypt and meets his wife, Maha. She is a Palestinian-Canadian and a long-time Ottawa resident.